David Wollard, senior director of leisure markets (center) and his team at Webasto’s new Stuart, Fla., facility. 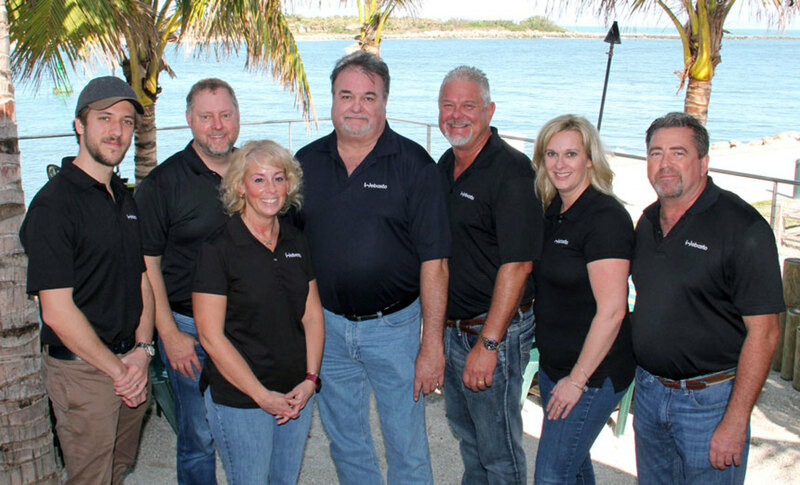 Webasto Thermo & Comfort North America, Inc., has opened a warehouse and tech services training center in Stuart, Fla.
David Wollard, senior director of leisure markets, will lead the team at the new facility, which is also the headquarters for Webasto’s recently established marine technical services team. Webasto manufactures custom and drop-in heating units, sunroofs and shades and supplies to OEMs, custom builders and dealers. Its largest customer base is within 2½ hours of Stuart and the company will be adding a technical services van for mobile capabilities. In 2019, the company will move to a facility three times the size of the current location where it will ship all leisure products.